POINT COMFORT, Texas— Citizen-activists who exposed Formosa Plastics’ rampant pollution of Texas waterways with plastic pellets and debris and will lead a kayak tour to its Point Comfort plant on Saturday, and supporters will hold a press conference before Monday’s opening arguments in the company’s civil trial. Both are open to the media. Lead plaintiff Diane Wilson, a local former shrimper, and co-plaintiffs from San Antonio Bay Estuarine Waterkeeper are being supported by allies from Texas, California and Louisiana, where the company is now seeking permits to build another massive plastics plant in St. James Parish. Local Vietnamese-American activists will also raise concerns about Formosa Plastics pollution here and abroad. When: Saturday, March 23, 11:30 a.m.
For Media: Members of the media can contact Steve Jones to participate in the kayak tour or receive images or video from the event. What: Civil trial of Formosa Plastics for illegally discharging plastic pellets and debris from its Point Comfort plant into Lavaca Bay. Opening arguments will be preceded by press conference outside the courthouse with media availability during lunch break. When: Monday, March 25, 8 a.m. press conference; trial starts at 8:30 a.m., media availability at noon. Images and video: Images of plastic pollution documented by Wilson and her group are available here. Video and photos from the kayak tour available upon request. Who: Groups supporting San Antonio Estuarine Waterkeeper and its Texas RioGrande Legal Aid lawsuit against Formosa Plastics include Vietnamese-American communities along the Gulf Coast, the Center for Biological Diversity, Earthworks, 350 New Orleans, Sierra Club, Rise St. James and Louisiana Bucket Brigade. 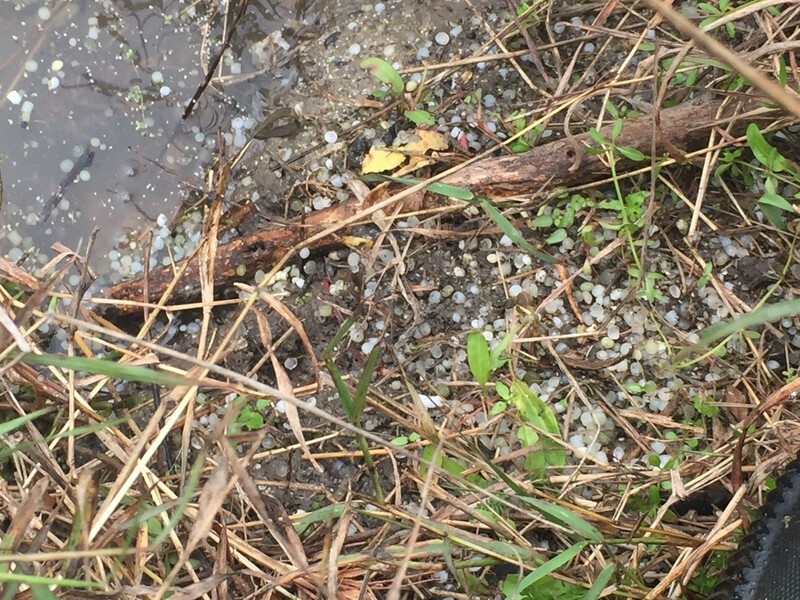 In January Texas officials fined Formosa Plastics about $122,000 for illegally discharging plastic pellets and debris into Lavaca Bay and nearby waterways. That fine covered just six incidents and was largely based on evidence that Wilson and her group began collecting in 2016 after finding plastic pellets littering local shorelines. Wilson and her co-plaintiffs, represented by Texas RioGrande Legal Aid, filed a citizen lawsuit seeking to have Formosa fined as much as $184 million, the maximum Clean Water Act fine for the 1,121 days of pollution events they documented. Federal law prohibits the discharge of “floating solids” into waterways. Plastic waste in waterways and oceans doesn’t break down for decades, attaching itself to environmental toxins as it travels throughout the food web, often infesting seafood. Local Vietnamese communities are concerned about Formosa’s impact on Gulf Coast fisheries and a 2016 chemical spill from Formosa’s steel plant in Vietnam that poisoned marine life over about 125 miles of coastline. Formosa and other petrochemical companies plan to increase plastic production by 40 percent over the next decade, proposing dozens of new plants along the Gulf Coast and in the Rust Belt. That increase is driven by an oversupply of fracked natural gas, the feedstock for ethane cracker and other plastic-producing plants. In St. James Parish, La., Formosa Plastics is proposing to build a $9.4 billion plastics plant along the Mississippi River. The site is adjacent to an African-American community sometimes called “Cancer Alley” because of high rates of industrial pollution and disease. Rise St. James and other community groups have organized strong opposition to the project and have organized a march there April 4 through April 8. They join a growing national movement concerned about the plastic pollution crisis and its connection to climate change, ocean plastic pollution, water contaminated by fracking, environmental justice and other issues. Plastic pellets from the Formosa Plastics plants line Cox Creek in Texas. Photo by Diane Wilson, San Antonio Estuarine Waterkeeper. Video and images are available for media use.